Liver flavor chewable tablets provide high levels of ingredients that help maintain healthy joint function in dogs with a previous injury or over 9 years of age. 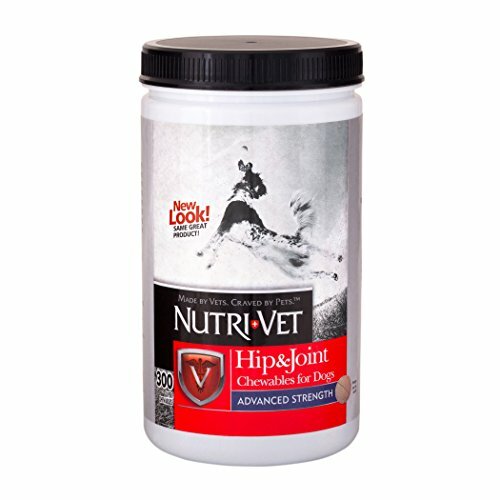 Hip & joint level 3 liver flavor chewable provide 500-mg of glucosamine, 400-mg of chondroitin, 50-mg msm, and 6-mg of hyaluronic acid to help maintain healthy canine joint function and connective tissue. 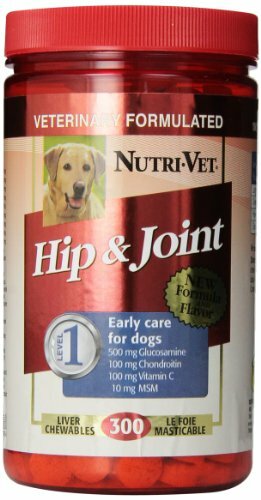 This product is formulated especially for large and elderly dogs with long-standing joint problems. Glucosamine hcl is the key building block for making cartilage. Recent reports in veterinary journals have validated the benefits of glucosamine in maintaining joint health and supporting mobility and activity in dogs of all ages and sizes. Chondroitin sulfate protects existing cartilage and slows its break down. Methysulfonylmethane (msm) is a natural anti-inflammatory agent that provides sulfur essential in the formation of cartilage. Hyaluronic acid helps maintain the viscosity of joint fluid. Vitamin c (ascorbic acid) is a potent antioxidant that is also important for the formation of bone and cartilage. Manganese, copper and zinc are essential in biochemical reactions that help form cartilage. 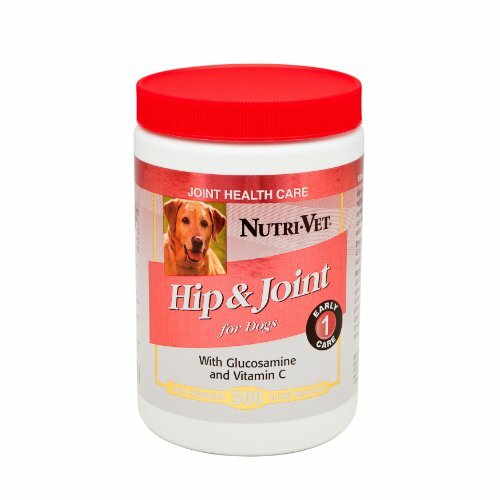 Specifically formulated for dogs over 9 years of age or those requiring added joint support. Directions for use: one-half chewable per 40-pound. Of body weight twice daily. As dogs walk, run, jump and play, tremendous stress is placed on all components of their joints. Years of wear and tear can break down cartilage leading to instability and discomfort. 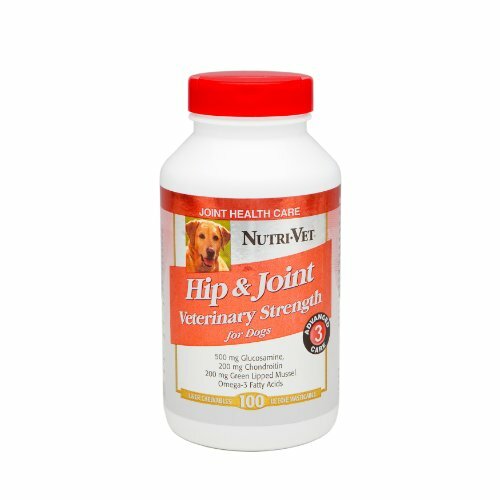 Nutri-Vet bone and joint supplements are specifically formulated to support structural integrity of joints and connective tissues in dogs. 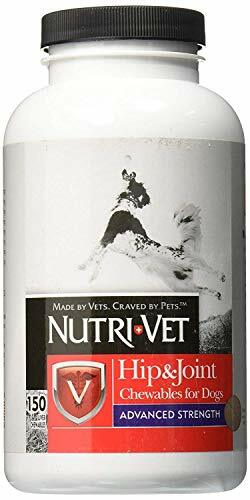 Our liver flavored dog joint supplement for dogs provide a powerful blend of glucosamine, chondroitin, and methylsulfonylmethane (MSM) to maximize healthy joint function. Feed 1/2 tablet per 40 lbs of body weight twice daily, allow four to six weeks for best results. Liver flavor chewable tablets maintain healthy joints in dogs. Hip and joint level 3 liver flavor chewable provide 300-mg of green lipped mussel, 500-mg glucosamine and 500-mg msm. Each veterinary-formulated chewable tablet provides a potent blend of active ingredients to help maintain healthy bone, connective tissue and joint function of dogs. Green-lipped mussel is a natural source of highly concentrated glycosaminoglycans such as chondroitin, as well as amino acids and naturally chelated minerals. It is also effective as an anti-inflammatory agent. The major fatty acids of new zealand green-lipped mussel are docosahexaenoic acid (dha), eicosapentaenoic acid (epa) and palmitic acid. Glucosamine hcl is the key building block for making cartilage. Recent reports in veterinary journals have validated the benefits of glucosamine in maintaining joint health and supporting mobility and activity in dogs of all ages and sizes. Methylsulfonylmethane (msm) is a natural anti-inflammatory agent that provides sulfur essential in the formation of cartilage. 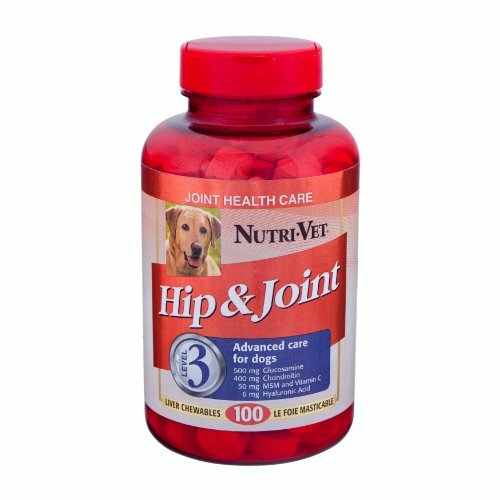 Ideal to maintain joint mobility in dogs of all ages. Directions for use: one-half chewable per 40-pound. Of body weight twice daily. Liver flavor chewable tablets maintain healthy joints in dogs. Hip and joint level 3 liver flavor chewable provide 200-mg of green lipped mussel, 500-mg glucosamine, 200-mg msm, 200-mg chondroitin and omega-3 fatty acids. Each veterinary-formulated chewable tablet provides a potent blend of active ingredients to help maintain healthy bone, connective tissue and joint function of dogs. Green-lipped mussel is a natural source of highly concentrated glycosaminoglycans such as chondroitin, as well as amino acids and naturally chelated minerals. It is also effective as an anti-inflammatory agent. The major fatty acids of new zealand green-lipped mussel are docosahexaenoic acid (dha), eicosapentaenoic acid (epa) and palmitic acid. Glucosamine hcl is the key building block for making cartilage. Recent reports in veterinary journals have validated the benefits of glucosamine in maintaining joint health and supporting mobility and activity in dogs of all ages and sizes. Methylsulfonylmethane (msm) is a natural anti-inflammatory agent that provides sulfur essential in the formation of cartilage. Omega-3 essential fatty acids break down into chemical messengers that help support the immune system at the cellular level. Manganese, copper and zinc are essential in biochemical reactions that help form cartilage. Ideal to maintain joint mobility in dogs of all ages. Directions for use: one-half chewable per 40-pound. Of body weight twice daily. Hip & Joint liver flavored chewables for dogs. 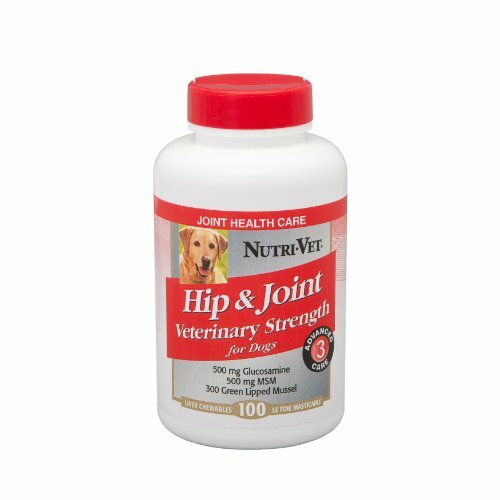 Provides natural nutrients that support joint function and connective tissue to help your dog stay active and enjoy life. Give 1/2 tablet per 40 lbs. of body weight twice daily. Allow four to six weeks for best results. Liver flavor chewable tablets maintain healthy joints in large active or overweight dogs. Hip and joint level 2 liver flavor chewable provide 500-mg of green lipped mussel, 400-mg glucosamine and 400-mg msm. Each veterinary-formulated chewable tablet provides a potent blend of active ingredients to help maintain healthy bone, connective tissue and joint function of dogs. Green-lipped mussel is a natural source of highly concentrated glycosaminoglycans such as chondroitin, as well as amino acids and naturally chelated minerals. It is also effective as an anti-inflammatory agent. The major fatty acids of new zealand green-lipped mussel are docosahexaenoic acid (dha), eicosapentaenoic acid (epa) and palmitic acid. Glucosamine hcl is the key building block for making cartilage. Recent reports in veterinary journals have validated the benefits of glucosamine in maintaining joint health and supporting mobility and activity in dogs of all ages and sizes. Methylsulfonylmethane (msm) is a natural anti-inflammatory agent that provides sulfur essential in the formation of cartilage. Manganese, copper and zinc are essential in biochemical reactions that help form cartilage. 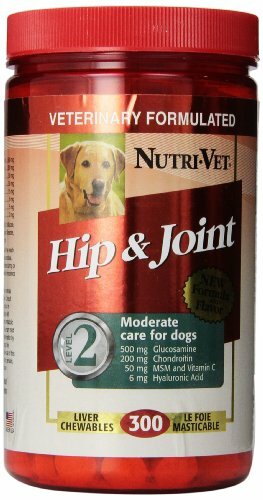 Ideal to maintain joint mobility in working, large or overweight dogs of all ages. Directions for use: one-half chewable per 40-pound. Of body weight twice daily.